There were other moves to promote home ownership, especially in the Capital where first timers face the biggest hurdle; spiralling prices. This year sees the start of the London Help to Buy scheme, with the Government increasing the upper limit for the equity loan it gives new buyers within Greater London from 20% to 40%. Londoners with just a 5% deposit will be able to get interest-free loans worth up to 40% of the value of a newly built home and will then need a mortgage of up to 55%. Other strategies included a new pilot scheme to extend ‘Right to Buy’, with tenants of five housing associations offered the chance to buy their rented homes. Restrictions on shared ownership are to be removed and the planning system will be reformed to deliver more homes. Changes to stamp duty were also announced, with a new 3% surcharge for buy-to-let properties and second homes from April 2016, which the Government says will raise almost £1bn by 2020. Reactions to the initiatives have been mixed. Housebuilders are ‘broadly in favour’ say the Home Builders Federation (HBF), who believe that Help to Buy has driven demand for new homes, with housing output having risen at the steepest rate for decades. Latest figures show the number of new homes delivered in 2014/15 was up 25% year-on-year to 171,000 homes a year, up from around 124,000 just a few years ago. However, the HBF warn that a lack of land is currently the biggest constraint on supply and they want the public sector – the biggest owner of land – to find a way of releasing more land, more quickly, for development. 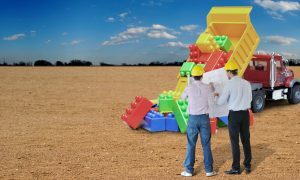 An additional £2.3bn has been earmarked to fund 60,000 Starter Homes, with plans to expand brownfield sites, but the HBF say that much more detail is needed before the industry can build the projected 200,000 homes over the next five years. Developers also want the planning system to be reformed, so that planning permission applications are processed faster. The last 10 years has seen home ownership levels drop from 71% of households in 2003 to less than 63% today and under 50% in London. The picture worsens for 25-34 year-olds, with only 36% on the property ladder. Some property experts believe that the latest government initiatives are diverting funds away from providing affordable rented housing, to subsidising home ownership, at a time when demand for rented accommodation is rising. Savills say an extra 350,000 households in England will be unable to get either subsidised, or market-rate housing to rent in the next five years – even London families, with annual incomes of up to £60,000. According to statistics, an average first time buyer has a deposit of around 70% of their income compared to only 35% in 2005. Deposit affordability is even more extreme in London where the average deposit needed is 127% of their income – that’s even higher than the 110% which was needed in 2009. The Government’s Help to Buy: ISA is intended to help buyers save for a deposit. First time buyers will receive a government bonus of 25% of the amount saved so, for the maximum monthly saving of £200, the Government will contribute an extra £50, with a maximum contribution of £3,000 on £12,000 of savings. The bonus will be calculated and paid on the purchase of a starter home. Research from Savills suggests that, by 2019, demand for private rented housing will account for almost one in four of all households, at 6.04m, up from 4.86m at the end of 2014. And it’s not hard to see why the sector currently appeals. Rising house prices, plus a shortage of affordable homes, are set to swell the ranks of ‘generation rent’ over the next decade. A recent report by PwC suggests that, by 2025, more than half of under 40s will live in private rented homes, a quarter of all households. The private rented sector has now overtaken social housing as the UK’s second largest tenure and ‘build to rent’ is being touted as the answer to the housing shortage. Earlier this year, developers, pension funds and housing associations launched a campaign to promote the delivery of housing for long-term rent, offering a potential £30bn to build over 150,000 homes around the UK, which will offer flexible and more secure tenancies. There are also schemes in the pipeline for families.